Light as only silk can be. 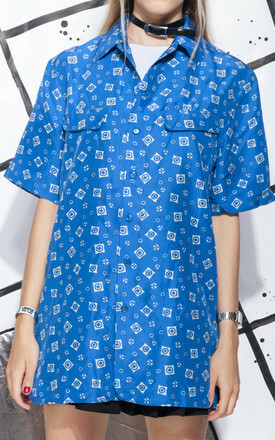 This shirt is made of pure silk and it features a vivid blue colour and a true 90s print. 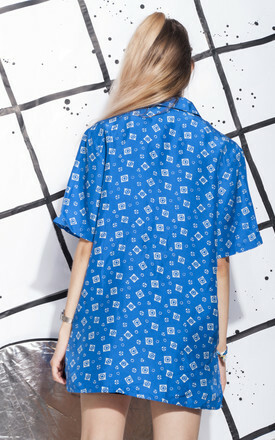 It has a cute collar and button closure at front. Layer it with some crop top or simply tie it over a basic dress. It's an oversized fit for a UK size 8 or 10.
width (seam to seam): 108 cm / 3' 6"